Our Screw Pump has two specific features that distinguish it from conventional pumps; the features are their Operation and Design. For the Operation: there is a short cylindrical space between the end of the screw and the non-return flap that is filled with pulverized material during conveying. Even when the feeding is totally shut down and at pressures above 1 bar there is no blowback of air. For the Design: the screw is secured in a sturdy barrel with a cone-shaped inlet connection. 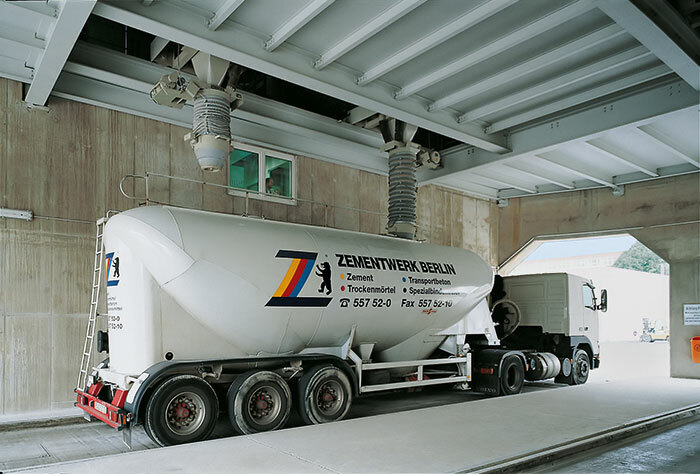 Our Mixers are available for continuous and discontinuous mixing plants for the cement industry. Our continuous flow-through mixing system is for mass cement production, while our discontinuous batch-type mixing is for production of special cement mixes. The IBAU Flow control gate type IBN shows all advantages and features of the worldwide-accepted IBAU Flow control gate. The variations of the basic type with different actuators have in common the extremely high accuracy of a controlled flow of pulverized bulk goods with reproducible results. The IBAU Loader is a proven and well-accepted aggregate for quick and dust-free loading into road and rail tankers. This Loader is for fine granular bulk-goods like cement and lime as well as fly ash and alumina. Fluid slides are used to convey the bulk goods and the advantages of the fluid slides for this purpose means: high throughput, low energy consumption and practically no noise. The IBAU Loading Chute is used in many industries and throughout the world. The Loading Chute is used for the loading of powdered bulk material such as cement, lime, gypsum, fly ash, alumina, etc. Cement stored in silos sometimes tends to conglobate, especially in silos that have only one central or lateral discharge spout or in silos that are located in humid climates. At this bottleneck, these lumps plug up the discharge opening and cause flow issues. 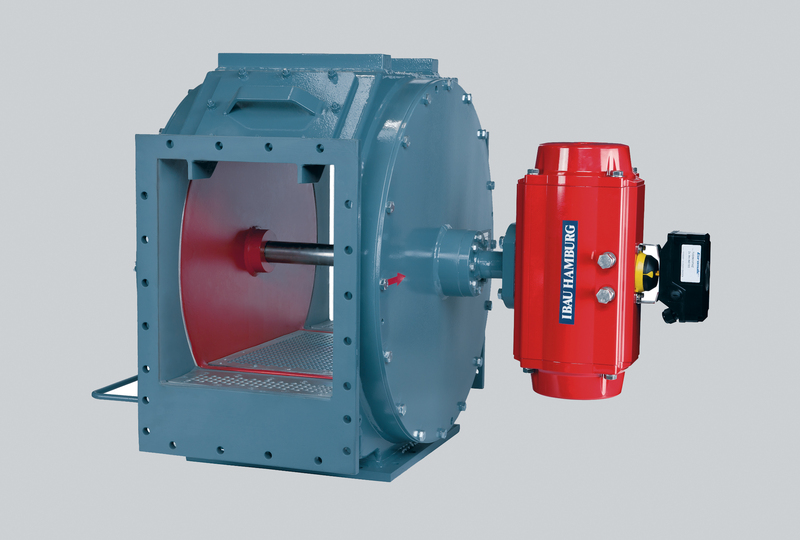 When the Lump Crusher is placed at the silo discharge, it breaks down the lumps to a size small enough for the cement to pass through the opening of the flow-control gate trouble-free. 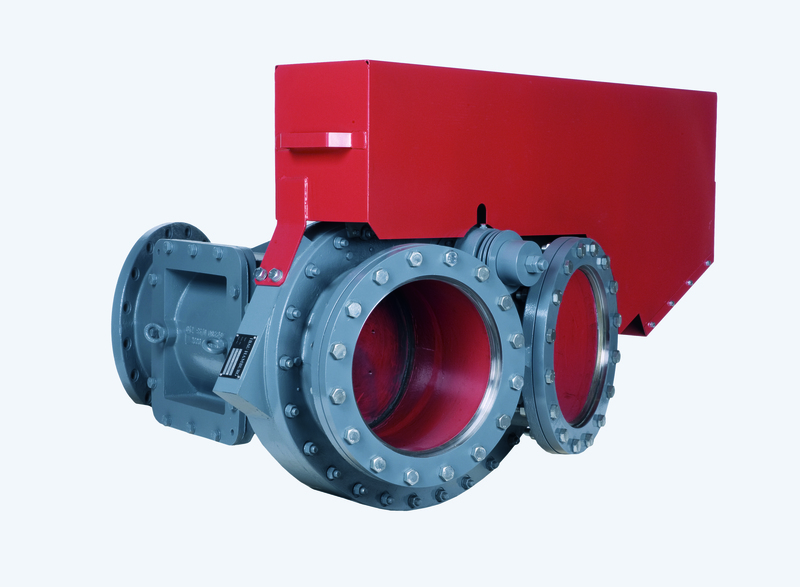 The IBAU Two-Way Valves are used for changing the direction of flow in pneumatic conveying lines. When you have pulverulent bulk goods such as cement, raw meal, lime and fly ash, the two-way valve increases your productivity in the distribution of material into several silos at one time. Our Discharger is equipment indispensable in your fluid slide conveying system. This unit for fluid slide conveying system is well accepted by engineers and operators worldwide. Even the best flap-type dischargers available up to now are often only tight at the beginning of operation. Incrustations and foreign bodies can cause trouble by causing leaks. The IBAU Roller-Type Discharger is different, being as tight as an IBAU Flow Control Gate. The IBAU Airlifts facilitates a dust-free vertical transport. It does not require much maintenance, as there are no mechanical parts in the conveying stream that have to be maintained. A rotary piston blower supplies the conveying air.